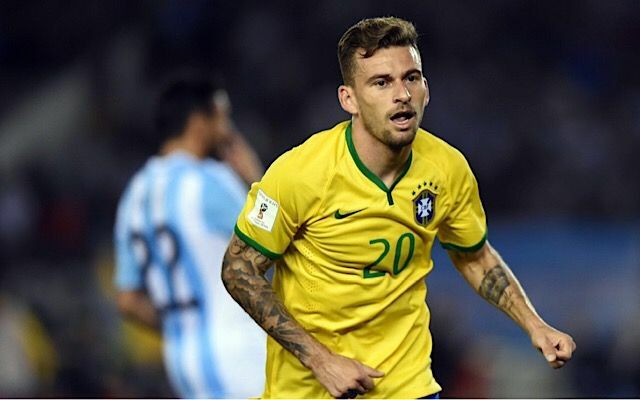 Man Utd are looking to beat off competition from Barcelona and Roma to sign Brazilian international Lucas Lima. Jose Mourinho has led Man Utd to an impressive start to the season, with new signings Romelu Lukaku, Nemanja Matic and Victor Lindelof all making their mark. Having seen moves for Ivan Perisic and Gareth Bale fail over the summer, Mourinho is hoping to reinforce his Man Utd midfield with a move for Santos player Lima. According to reports in the Express, Lima’s agent Luccas Badia has claimed Crystal Palace and Fenerbahce failed in moves for the player and that Man Utd are interested in the Brazilian international. “Inter, Roma and Barcelona are keeping close tabs on Lucas, Manchester United want him” Badia told Turkish newspaper Haberturk. Lima, 27, signed for Santos in 2013 and has scored 19 goals in 192 appearances for the club. He made his debut for Brazil against Costa Rica in 2015 and scored in a World Cup qualifier recently against Argentina.